Fountain ball, which is a kind of decoration for house known by most of people. There are many varied types of fountain ball with different shape are available in the market now. It caters to customers’ need. In fact, it is not only used for decoration, but also has other functions. We would like to introduce two types of fountain balls in the following. 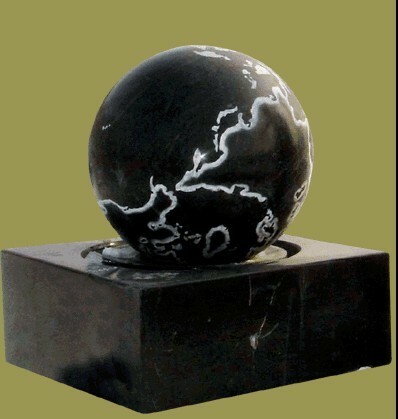 The beautifully simplistic outdoor fountain balls is made of solid granite, and it may placed around the garden or placed in a large flower pot, which indicates good Fengshui that would bring great fortune to the owner of the garden. They are popular at home and abroad, especially in China, people believe Fengshui a lot. Fountain balls are very often seen placed in front of hotels or villas in China. Meanwhile, people really care about where to place fountain ball. Sometimes, fountain ball is even placed in the office of some companies., which belongs to indoor fountain ball. The unique designed with large bowl or Led is the best selling product in the domestic market. Relax with the soothing sounds of water that even bird will love. It is good for white collars to work in such a relaxing environment. Also, it indicates prosperous and good luck for the business owner. All in all, fountain ball has many functions, one is a great choice for decoration in garden or house, the other is that people strong belive it will bring good luck and fortune to them if it placed in the right place.